On Wednesday, July 25th 2018, H.E. 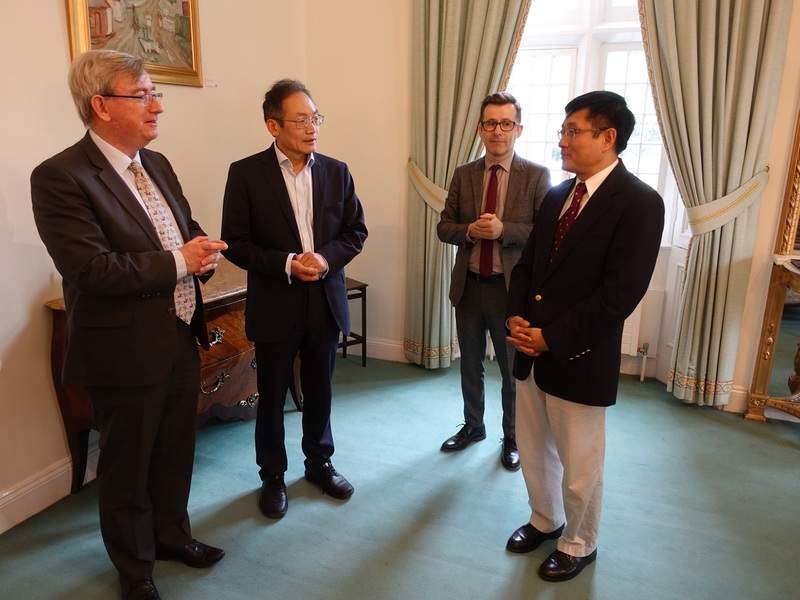 Dr. Yue Xiaoyong, Chinese Ambassador to Ireland, visited the National University of Ireland Galway and met with the the new President Ciarán Ó hÓgartaigh. Professor Timothy O’ Brien, Dean of college of medicine, nursing and health sciences, Professor Brain Hughes, Dean of international affairs, and Professor Shen Sanbing also attended the meeting. 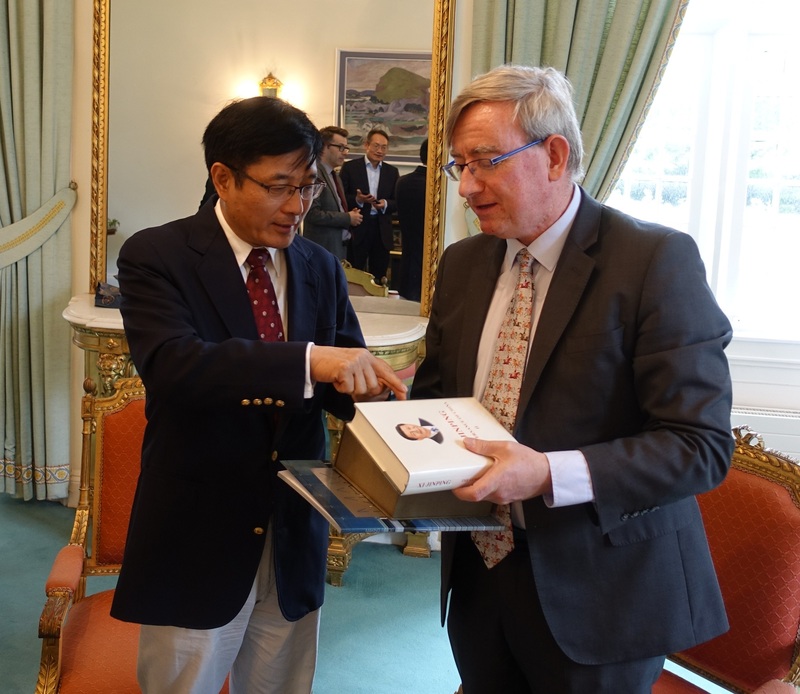 President Ó hÓgartaigh extended a warm welcome to Ambassador Yue and introduced NUI Galway’s special features in teaching, research as well as exchanges with Chinese universities. He expressed willingness to further deepen the friendly relationship with Chinese universities and actively participate in China's reform and opening up process, making more contributions to Ireland-China relations. Ambassador Yue briefed President Ó hÓgartaigh recent development of the mutually beneficial strategic partnership between China and Ireland. Remarkable achievements have been made in bilateral exchanges in science and technology, education, economic and trade and other fields. The development of bilateral ties enjoys broad prospect. He also stressed the importance of the direct flight between China and Ireland opened in June, which will further facilitate the increasing exchanges. 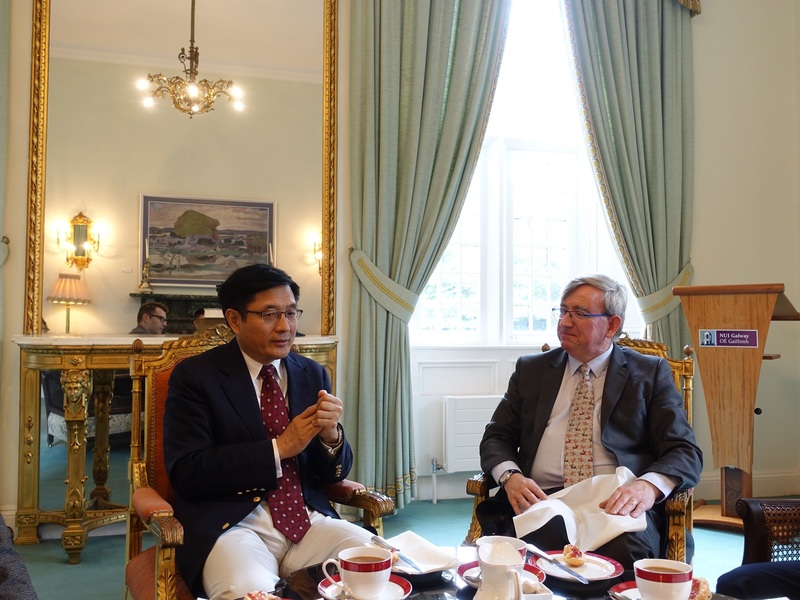 Ambassador Yue expressed his appreciation to NUI Galway’s efforts in mutually beneficial cooperation. He said the rapid development of China requires a large number of various professionals. China is ready to strengthen the exchanges with Irish colleges and universities. NUI Galway’s continuous active participation in educational cooperation between two countries is consistent with China's concept of innovative, coordinated, green, open and shared development. Also present were Dr. Shen Mingchun, Chief of the Political and Press Section and Ms.Wang Oujia, Head of Culture Section from the Embassy.